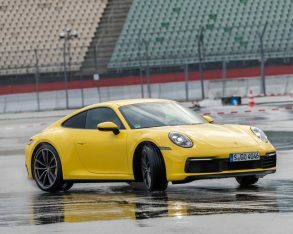 Who could have known? 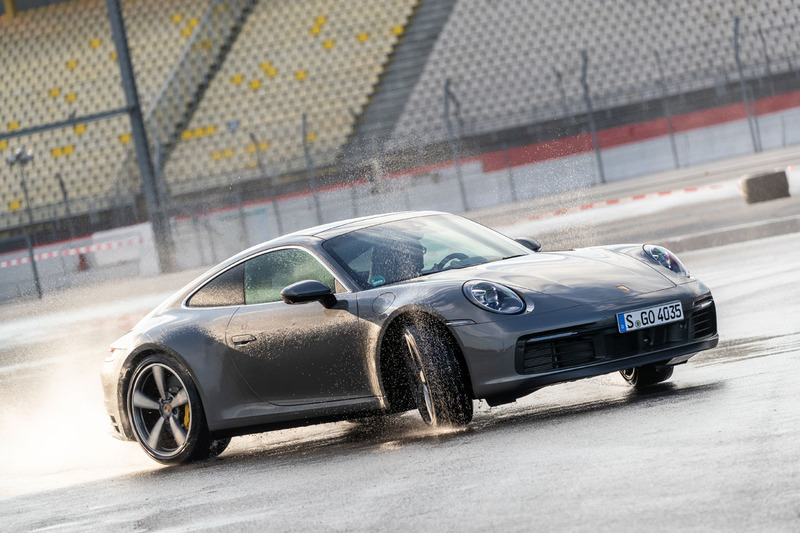 Porsche 911 owners drive too fast. 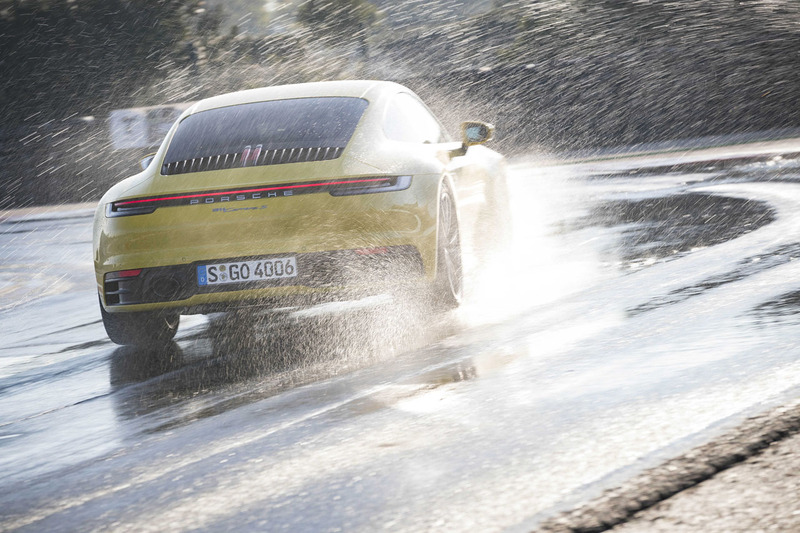 Even in the wet. 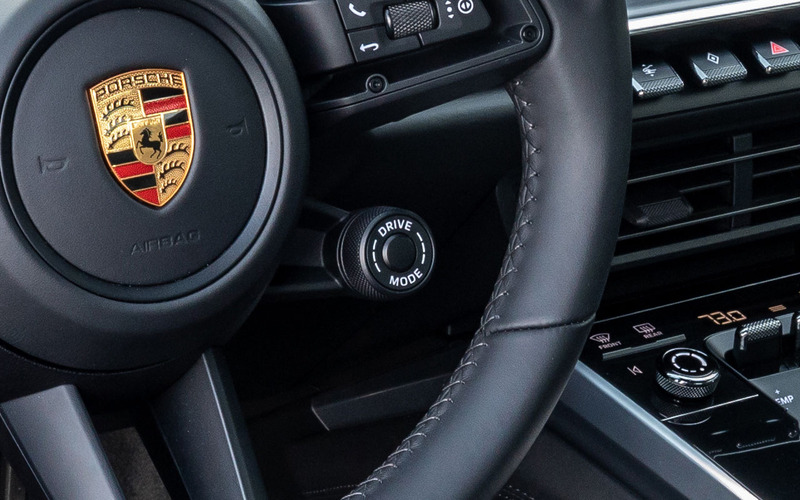 With such knowledge at hand it only made sense for the German luxury brand to protect its most valuable assets, the thousands of dedicated customers that loyally come back time and time again to renew their pledge at the 911 altar. 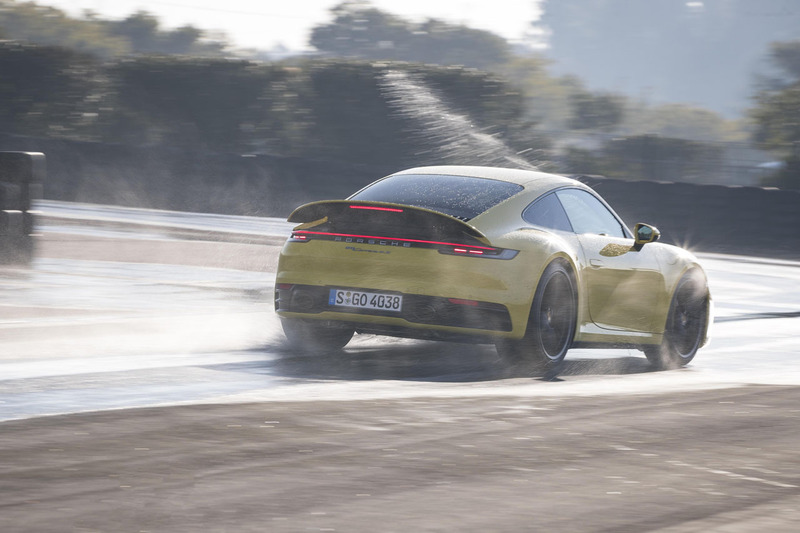 Along with the introduction of the completely redesigned 2020 911 at the Los Angeles auto show in November of last year, Porsche announced a new Wet Mode designed to assist would-be owners that get over their heads in standing water. 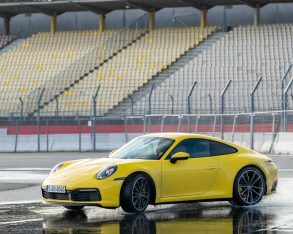 As it turns out, the deep end that can cause a 911 or most any other sports car shod in ultra-wide 21-inch performance tires to lose grip can be merely a single millimetre (0.04 inches) in depth, and it doesn’t need to be raining either, so don’t think the optical sensors used for your car’s rain-sensing wipers can be reallocated to detect sheets of water covering the road. 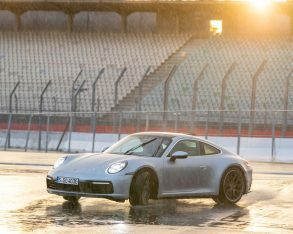 Porsche’s new Wet Mode can detect standing water, however, via acoustic sensors positioned within the front wheel arches just behind the tires. 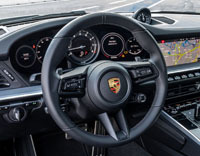 Rather than see water on the road, Wet Mode sensors listen for water spray, and if decibel levels get too strong the 911’s multi-information display will suggest you turn on Wet mode via a button on the new “button bar” above the centre console, or if equipped with the available Sport Chrono Package, by twisting the steering wheel-mounted “DRIVE MODE” selector. That would be the rotating dial and “Sport Response” button just below the steering wheel’s right-side spoke, which can also be used to select “Normal”, “Sport”, ‘Sport Plus’ and ‘Individual’ driving modes. 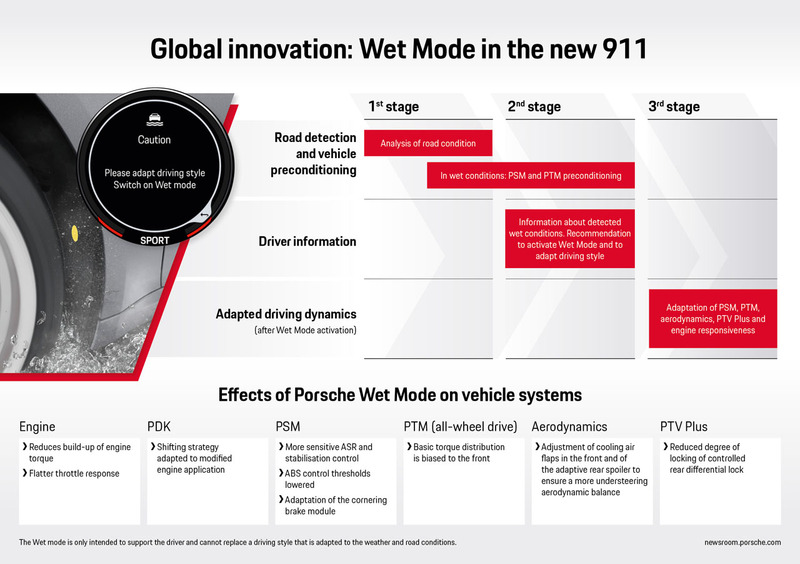 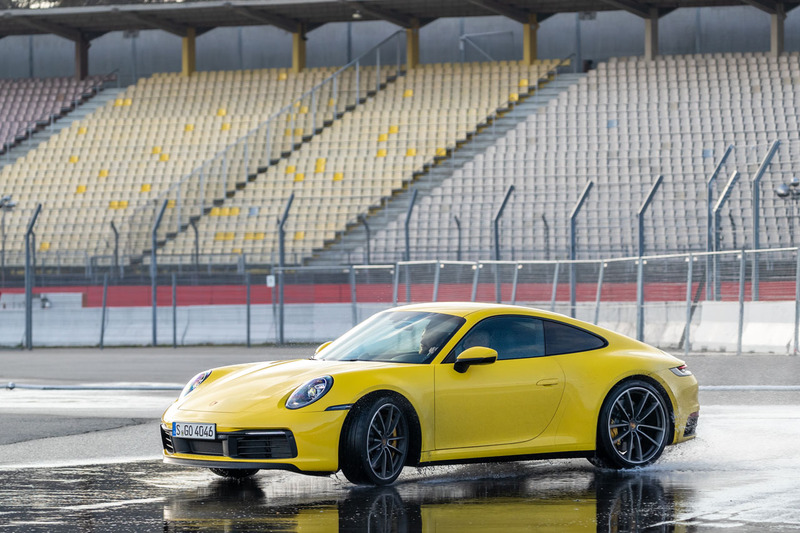 For the 2020 911, and without doubt more Porsche models to come, it also includes the new Wet mode, allowing drivers to select a safer setting when traveling over water-soaked pavement that could cause aquaplaning, or hydroplaning. 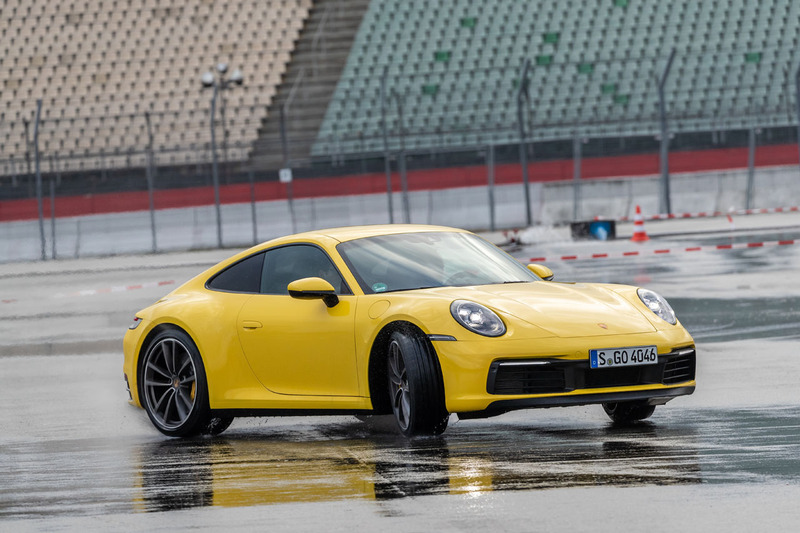 Achleitner, who’s been with Porsche since 1983, earned his alternate title by being responsible for 911 model series development since 2001, and interestingly Wet mode was actually first developed back in the ‘90s. 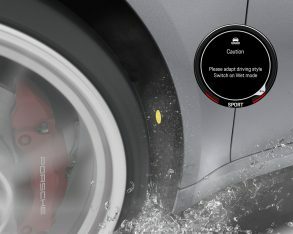 When put into play, Wet mode applies more sensitive preconditioned settings to all of the 911’s driver assistive systems, such as Porsche Stability Management (PSM), Porsche Traction Management (PTM), and the car’s active aerodynamics, before combining their collective capability toward wet weather management. 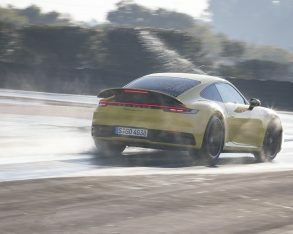 Specifically, the active variable rear spoiler extends to its performance position at just 90 km/h (sooner than in dry conditions), adding downforce to the rear tires, while frontal cooling air flaps open to increase downward pressure over the front wheels. 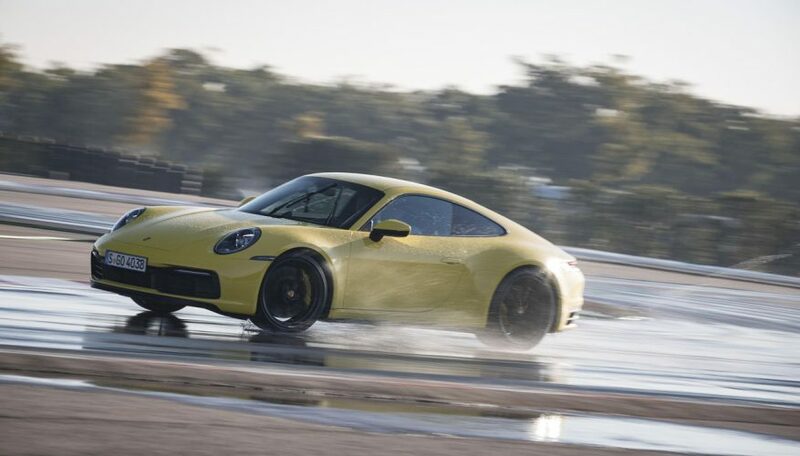 While the engine doesn’t relinquish any power, Wet mode delivers thrust more evenly in order to minimize engine torque buildup, with the end result being maximum traction at each wheel. 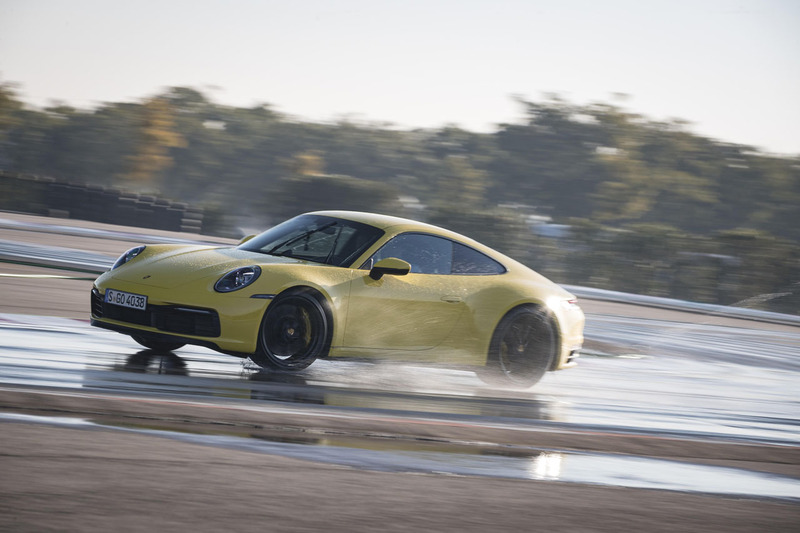 What’s more, if piloting an all-wheel drive 4S model, additional torque gets transferred to the front axle for even more balanced distribution. 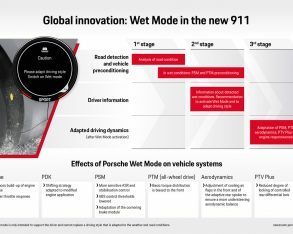 Of course, both Sport mode and the PSM Off function can’t be activated in Wet mode, while the new eight-speed PDK transmission’s shift strategy and the electronically controlled rear differential’s locking ratios automatically adapt to a smoother, more linear power delivery too. 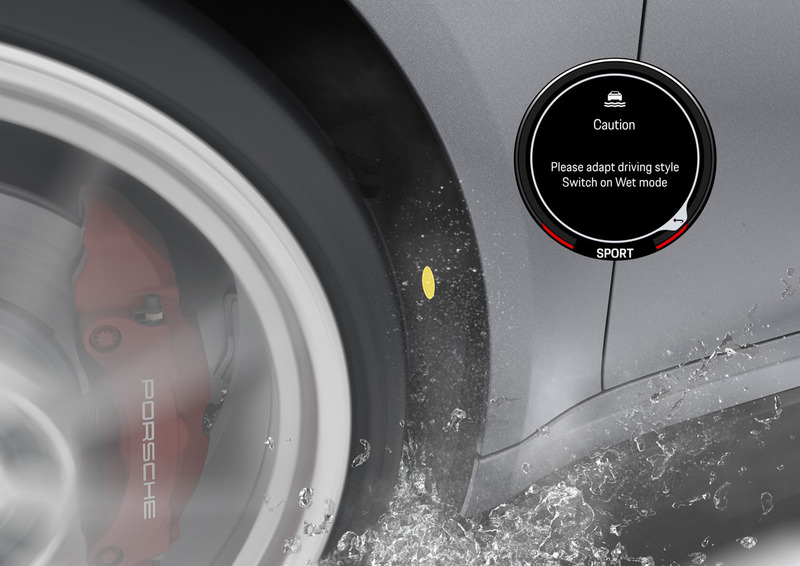 Porsche claims “more confident handling” when using Wet mode in inclement conditions, and also states that Wet mode is ideal for snowy conditions as well. 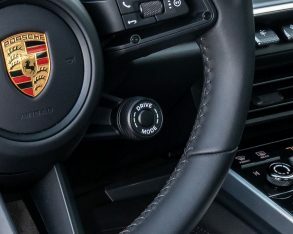 While driver assistive technology this effective would be welcome in any car, it’s especially important in a sports car as capable as the new 911 that, thanks to 443 horsepower and 390 lb-ft of torque behind the rear axle, can sprint from standstill to 100km/h in just 3.7 seconds in Carrera S guise, or 3.6 seconds when benefiting from the Carrera 4S model’s all-wheel drivetrain, or 3.5 and 3.4 seconds respectively with the Sport Chrono Package, before attaining top speeds of 308 and 306 km/h (190 and 191 mph) apiece. 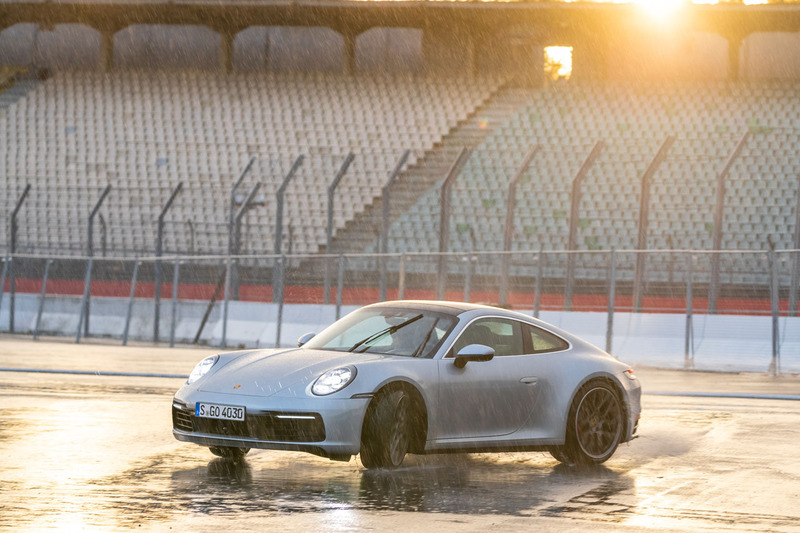 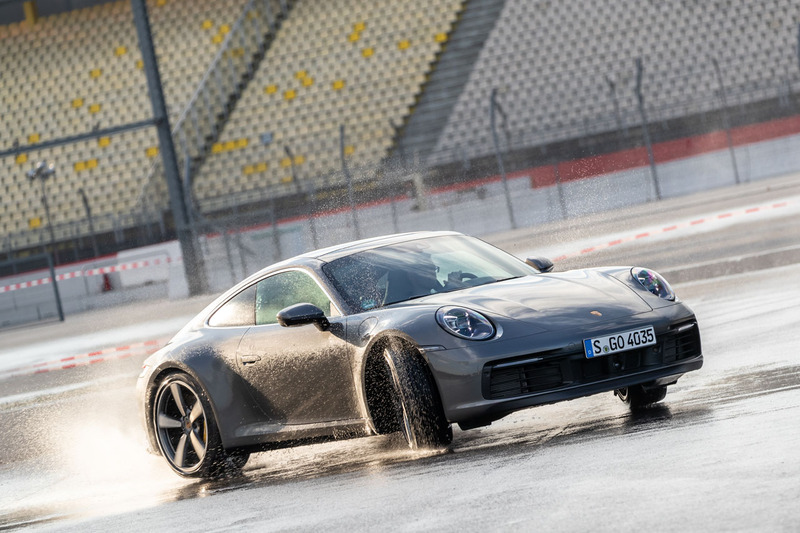 To learn more about the new 2020 911’s Wet mode watch the video below, and also remember to browse through our photo gallery above for some fabulous shots of water spraying behind the new 911 during wet weather testing.